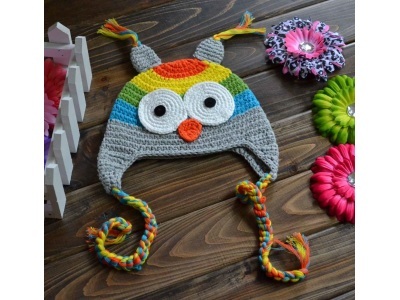 These handmade crocheted owl beanies are simply hoot-iful! With tassled ears and plaited tie-ups they are the perfect gift when you don't know what to give! Perfect for anyone little who is super cute and super funky. You can pretty much guarantee they wont get two of these on Christmas day and everyone will be talking about it!